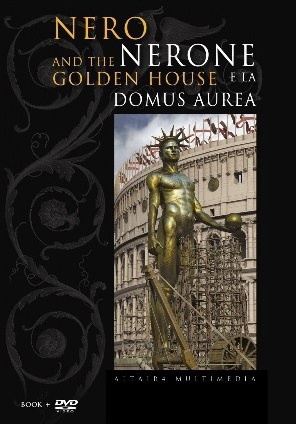 View cart “DVD: Nero and the Golden House” has been added to your cart. VIDEO FORMAT: the DVD is double sided: it may be read by PAL on side A and by NTSC son side B. The reconstruction of the great fire of 64 AD, which destroyed the capital of the Empire, and the golden palace of Nero in a new production by Altair4 Multimedia: for the first time the misery and the splendor of the Eternal City at the time of Nero, reconstructed in 3D computer graphics. 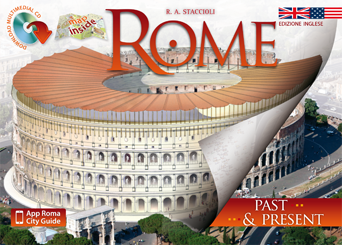 From the crumbling insulae of the Subura to the sumptuous architecture of the Domus Aurea, from Nero’s artificial lake to the Colosseum, from the Neronian porticoes on the Via Sacra to the glories of the Imperial Fora, from the imposing bulk of the Colossus of Nero to the architectural revolution of the Octagonal Hall: the spectacular and rigorous reconstruction in 3D computer graphics of the most ambitious work by a visionary architect.